Home > Articles, IBM	> Watson’s Mobile Challenge: What could it mean? Watson’s Mobile Challenge: What could it mean? By now you’ve probably read all about IBM’s Watson Mobile Developer Challenge, but what you might not know is what the long term implications of such a challenge are. The primary implication is that mobile developers will be able to tap into the power of Watson via mobile applications or apps. I know it sounds like a cliché, but the implications of the mobile to Watson connection are only limited by developer ability and imagination. I had the pleasure of speaking with Carlos Paez, IBM’s Lead Mobile Developer, MobileFirst Global Center of Competency. Carlos will be developing some reference applications to help challengers get started on creating mobile apps. You can watch the IBM Watson Mobile Developer Challenge Virtual Roundtable video (below) to get a full explanation of what’s going into the challenge and how it works. The video is 32:31 minutes long and also features Jen Knecht, Director for IBM MobileFirst Marketing, Sridhar Sudarsan, CTO for IBM Watson Ecosystem, Ron Norman, Chief Architect for IBM Mobile Innovation Labs. And now back to the implications of this challenge and what it could mean for developers and users alike. One significant implication is for driver-assisted navigation. For example, if you’re travelling by car, you could ask the app about weather reports, road conditions, hotels, gas stations, restaurants, rest areas, and points of interest without ever looking away from your steering wheel. For television watching, not only could the app learn your watching habits, but it could also steer you toward shows and series that you want to watch based on a question such as, “I’d like to watch a comedy starring Steve Martin.” In seconds, the app would display a list of those comedies in order according to your watching habits and preferences. Emergency responders could use an app to diagnose and treat trauma patients in car accidents, in fires, or in natural disasters. More lives could be saved and shorter recovery times might be possible by giving the proper treatment to patients in the field. In education, a Watson-powered app could be used to drill students prior to an exam or to assist students in learning a new language. Teachers could use an app to create adaptive tests for students to assess their level of achievement on a particular topic. But not every example of a Watson-based app has to be so practical. One could design an app to help predict March Madness outcomes or to narrow down the possibilities in a dream team challenge. I see this new era of computing as expanding the possibilities for intelligent applications. It will allow humans to interact with computers in a natural way, via spoken or unspoken language. Wouldn’t it be cool if someone could write an app that would watch a deaf person using sign language and interpret those gestures into spoken words to a listener on the other end of a telephone conversation? The Watson Mobile Challenge is an opportunity for creative thinkers to really show the power of their own innovative ability plus unleash the power of a supercomputer via a mobile app. The IBM Watson Mobile Developer Challenge is part of the IBM MobileFirst strategy to help businesses of all sizes adopt mobile technology to better engage with customers and extend their businesses to new markets. The news also represents the latest milestone in the newly formed IBM Watson Group to fuel an ecosystem of developers, start-ups, tech companies and venture capitalists building Watson powered apps as part of the Watson Developers Cloud. To date, more than 1,500 individuals and organizations have contacted IBM to share their ideas for creating cognitive computing applications that redefine how businesses and consumers make decisions. 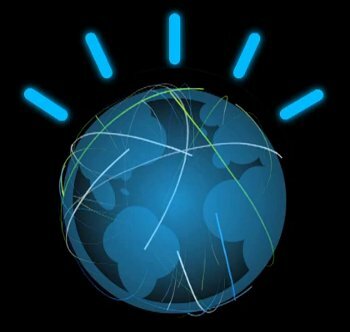 In fact, global developers have created and plan to go to market in 2014 with Watson apps across a variety of industries.